In Kochi, formerly known as Cochin, different cultures have etched their personal mark on the city over the course of centuries. As a result, today the city is a delightful and lively portrait of different influences from across the world. Yet, the oldest and perhaps the most fascinating among these is the age-old legacy of Kerala itself. As a major port, Kochi was historically a center of trade and commerce. Today the city continues to bask in the colorful melange of tradition and modernization. Home to numerous sites of historical and cultural significance, Kochi is a must- visit destination for a family vacation. With its diverse cultural fabric, Kochi is also home to a vast array of accommodation options. You can choose from these countless options to suit your tastes and requirements. 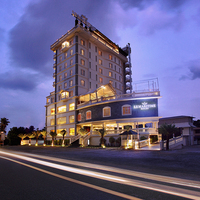 In Kochi, sea-facing resorts and hotels are especially popular. Not only do you get to enjoy a view of the sea, you can also enjoy several other delights with spas and swimming pools. 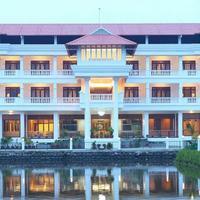 The colonial-style bungalows and villas are another popular choice of accommodation in Kochi. Here you can enjoy a truly authentic and luxurious experience that takes you back to the colonial era. 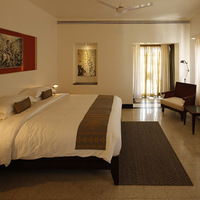 You can also stay at one of the luxurious 5-star hotels to enjoy a lavish stay with your entire family. 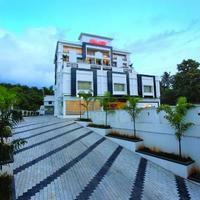 Kochi has some excellent options when it comes to budget accommodation as well. You can pick from the various mid-range and budget hotels or choose more unconventional options, such as local homestays. Make sure that the hotel you pick is located in a convenient area. Some of the popular locales in Kochi include Fort Kochi, Kochi Airport, Ernakulam and so on. Use Cleartrip's pay@hotel feature to book your hotel rooms with zero advance payments. You can pay directly at the time of check-in. So get your hotel rooms in Kochi through Cleartrip today! 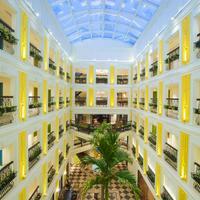 Could you tell us hotels in Kochi that provides 24 hours check-in check-out facility? 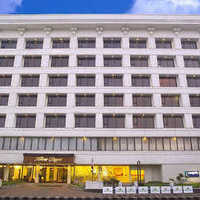 There are many hotels in Kochi that offer 24 hour checkin facility. 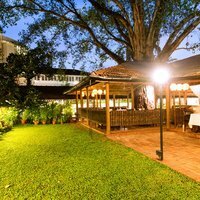 Some luxury hotels in city that offer 24 hour check in are Lotus 8, Hotel Dewland, and The Wyte Fort.You could also try these budget hotels Eco Lodge, The Markz Inn, and Hotel Elegance that offer this facility. Suggest us few good hotels in Kochi that provide wifi. 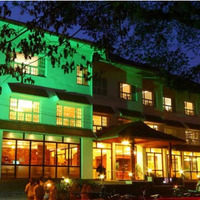 These days Wi-Fi is part of basic facility that most hotels in Kochi offer. 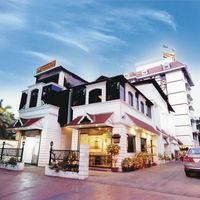 These budget hotels in city offer free Wi-Fi service Cochin Seaport Hotel, The Senate Hotel, and Hotel Elegance. I'm looking for hotels in Kochi with swimming pool. Please suggest. 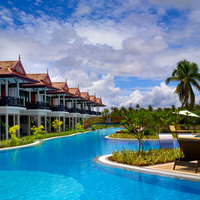 All the four and five-star hotels in Kochi have a well-maintained swimming pool. Broad Bean Hotel, Abad Pepper Route, and Hotel Abad Fort Cochin are some budget hotels in city that also have swimming pool. Could you suggest us few hotels in Kochi that has free parking facility? 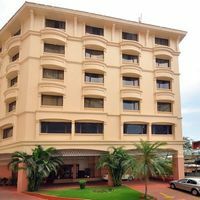 There are few hotels in Kochi that provides free parking facility The Wyte Fort, Fort House Hotel, and Les 3 Elephants. 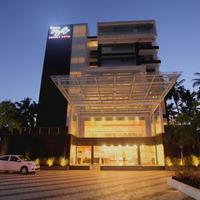 Can you suggest us hotels in Kochi that offers rooms under Rs. 1700/-? 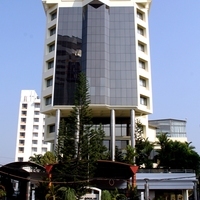 There are many hotels in Kochi that offers hotels under Rs. 1700/-. 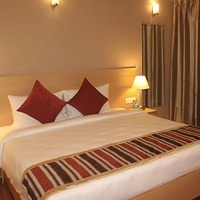 For best options you can check Hotel Millennium Continental, Time Square Hotel, and Hotel Aiswarya under 1700/-. 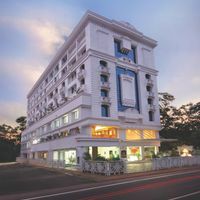 Can you suggest me hotels that have pay@hotel options in Kochi? 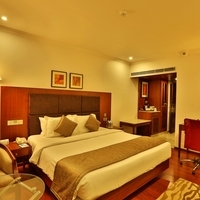 Most hotels in Kochi prefer that you pay some advance to book a room. 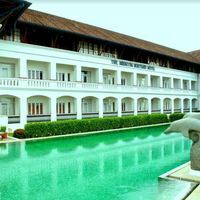 However, there are some hotels that give you an option to pay@hotel like Grand Hyatt Kochi Bolgatty, Le Maritime, and Punarnava Bamboo Lagoon Ayurveda Village. Please suggest me 5 star hotels in Kochi. 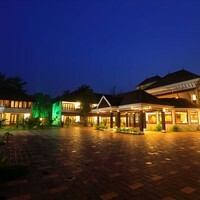 There are a lot of options for comfortable stay in Kochi. 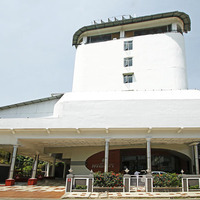 Check this hotels for comfortable stay Vivanta By Taj Malabar, Le Meridien Kochi, and Kochi Marriott Hotel. Can you suggest few hotels with good front desk facility in Kochi? Yes, there are a lot of hotels in Kochi that has good front desk service available. 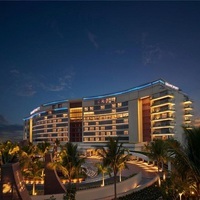 Check this hotels Vivanta By Taj Malabar, Le Meridien Kochi, and Kochi Marriott Hotel.